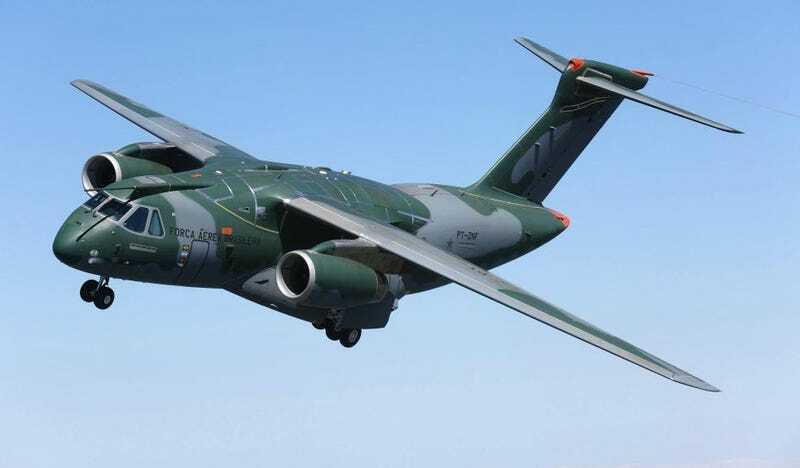 Brazil's Embraer marked a huge milestone today, flying its largest and most complex jet, the KC-390. The flight lasted one hour and 25 minutes, during which the test crew put the C-130-sized twin jet through a series of maneuvers to assess its handling. The flight is said to have gone perfectly. H/T to Isaac Alaxender, who has one of the best aviation twitter accounts around, for the heads up on this historic first flight.